One month. 4 weeks. 30 Days. 720 hours. November is the time of the year that the entire nation, or at least most of us, focuses on giving thanks, on paying tribute to the good in our lives, and this year is no different. You see, November has not always been a favorite time of year for me, not because of its focus, but because many of the negative memories I have, poignant and painful moments that have shaped me, happened in November. I went from a kid who loved giving thanks to an adult that almost dreaded the day entirely. Because of this, I have honestly never fully taken part in the 30 Days of Thanks challenge. I’ve admired those who in the past few years have taken to their blogs and social media to post daily something they are thankful for, but I’ve always talked myself out of the challenge portion because it felt pushy and contrived, plus my world never seemed to fit into the “let me post something every single day for the world to read” box. This year, I’ve decided to do things differently. I have so very much to be thankful for even though the past 24 months have been intense, challenging, and at times, overwhelming. I know I’m not the only who has faced times like this; in fact, isn’t that the way life usually is for all of us? The ups and downs, the mountains and valleys…they make up the landscape of our day-to-day existence. So, I’m not challenging myself or anyone else, but I’ve decided that with some careful thought (and enough planning), I would like to share what I am thankful for with our readers every day. Our world has changed so much just in the past 11 months, and I would be remiss to not focus on as many aspects as possible for which I am thankful. This means that starting tomorrow, I will be blogging about the many things, people, and places that I give thanks for each day. And, you are welcome to join me. I even mapped out a 30-Day Plan, in case you are inspired to participate, but don’t know where to begin. Just remember, this is NOT a challenge. Some days you may feel overjoyed, some days you might be fighting the blues, and some days you may not be able to take your thoughts and feelings and put them into words. You can share it with others if you choose, or you can write it in your journal, paint it on canvas, share it in a poem or find some other sort of outlet. The hope is for you to be inspired and encouraged, but if you miss a day, don’t beat yourself up. 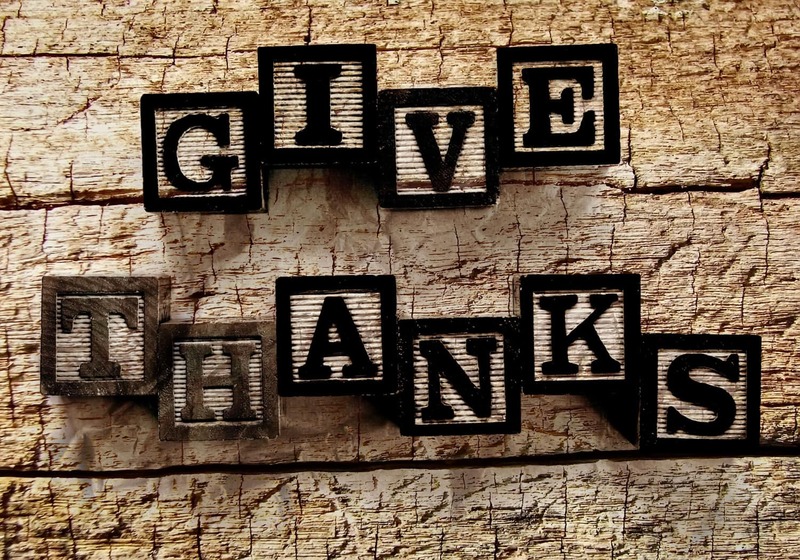 Giving thanks is not a competition; it’s a personal action that allows us to consciously recognize the good in our lives, the many blessings, the numerous gifts (big and small) that God has given to each of us every time we take a breath.